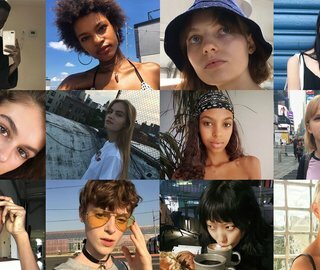 The end of the Spring 2018 shows offers the opportunity to look back at some of the year’s breakout new faces, the up-and-coming models who have made their mark over the seemingly unending rounds of fashion weeks of the past months. 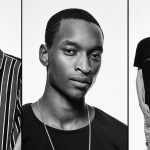 Here, we present our annual roundup of the most promising new guys who stormed the runways this past year. 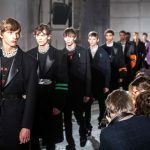 Captured by Matthew Brookes on the busy final day of men’s Paris Fashion Week in June with styling by Christian Stroble, our latest crop is more diverse than ever, encompassing newcomers from China, the Czech Republic, Denmark, England, Estonia, France, Germany, Latvia, the Netherlands, Russia, Senegal, and South Korea. With their varying looks, backgrounds, and experiences, no two are alike, but what they all share is an abundance of potential and their bright futures ahead. 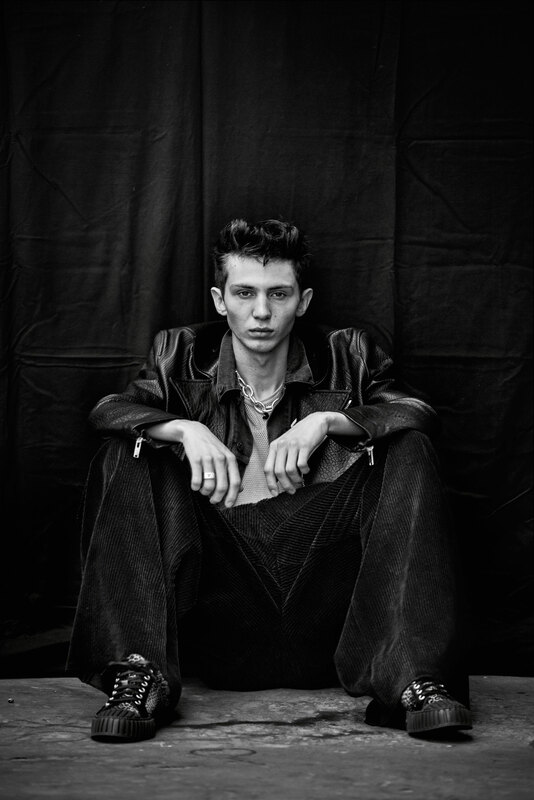 Above: Oliver Houlby wears vintage leather jacket from Noir Kennedy, vintage Levi’s denim jacket from Kilo Shop, t-shirt Dry Clean Only, pants Acne Studios. 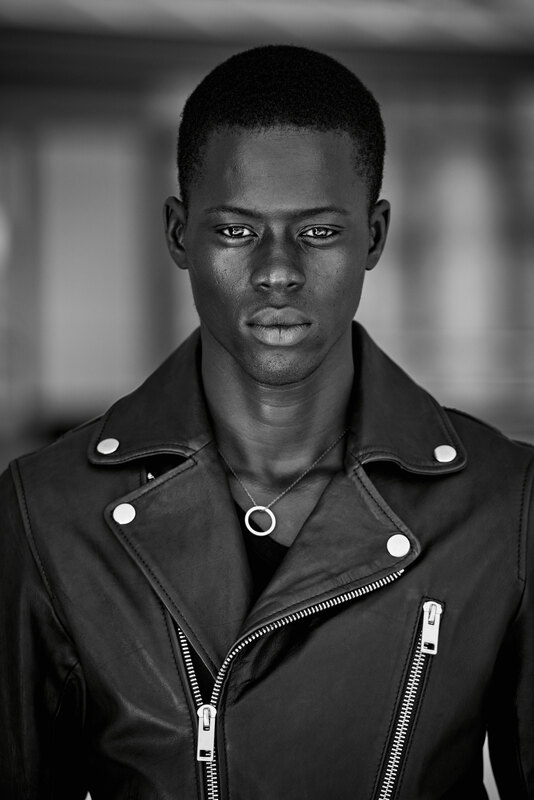 Alpha Dia wears leather jacket Schott, tank top Alexander Wang, necklace model’s own. Karlis Leiboms wears vintage leather jacket from Noir Kennedy, vintage tank top from Melet Mercantile, pants Dior Homme. Yong Soo Jeong wears vintage denim vest from Noir Kennedy, coat Lanvin, vintage t-shirt Dior Homme, jeans Levi’s, vintage belt from Melet Mercantile. 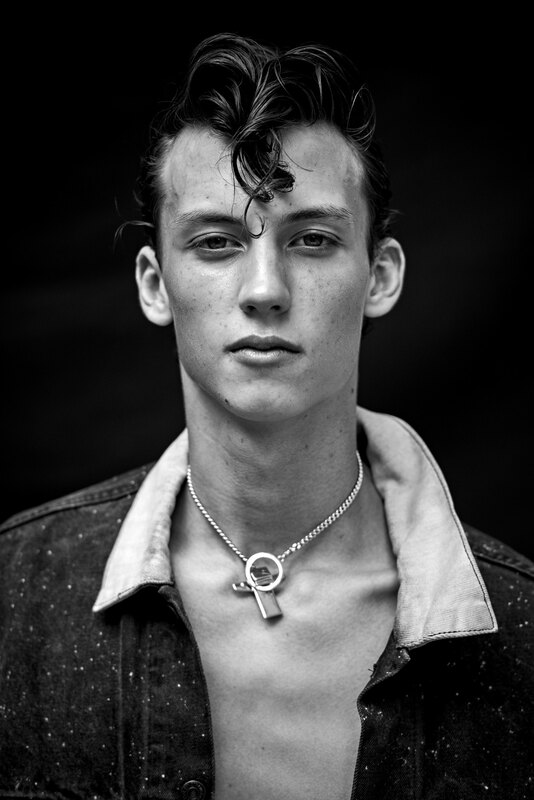 Willem Wardenaar wears leather jacket The Cast, vintage tank top. 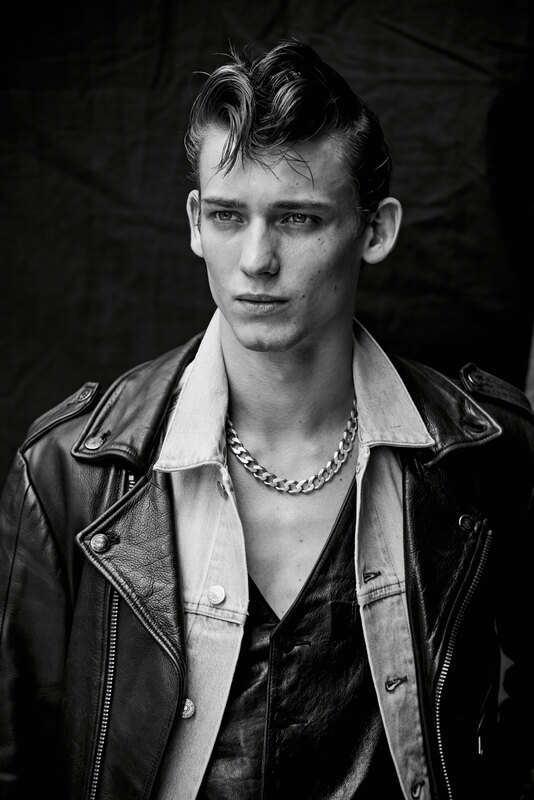 Mathieu Franke wears leather jacket Schott, vintage shirt Maison Margiela, necklace Zana Bayne. 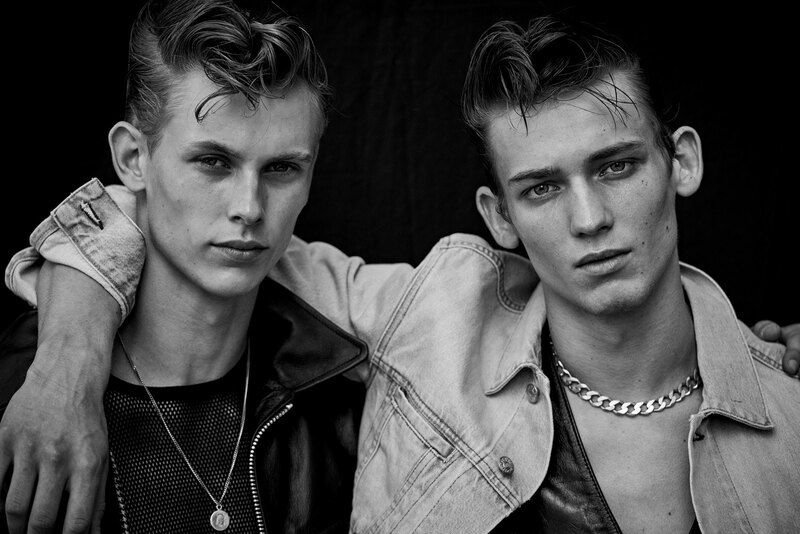 Left: Tom Boitaud wears vintage Levi’s jacket from Noir Kennedy, necklace Eddie Borgo. Right: Ernest Klimko wears coat Études, vintage Fall 2001 Raf Simons t-shirt from the David Casavant Archive, pants Drome, boots Diesel. 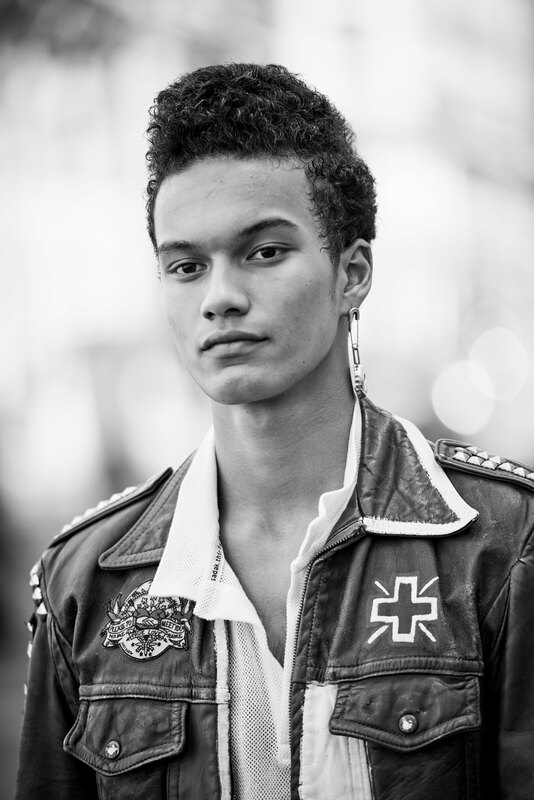 Joel Leon Perreira wears vintage leather jacket from Noir Kennedy, polo shirt Sadak, earring Ambush. Left: Honza Stiborek wears leather jacket Cerruti, jeans APC, belt Zana Bayne, necklace Ginette NY, bracelet Adeline Cacheux. 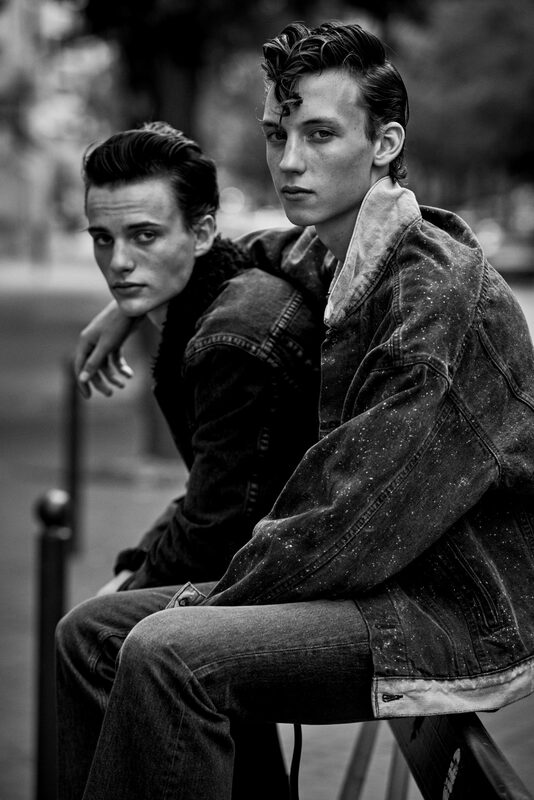 Right: Guirec Murie wears jacket 3.1 Phillip Lim. 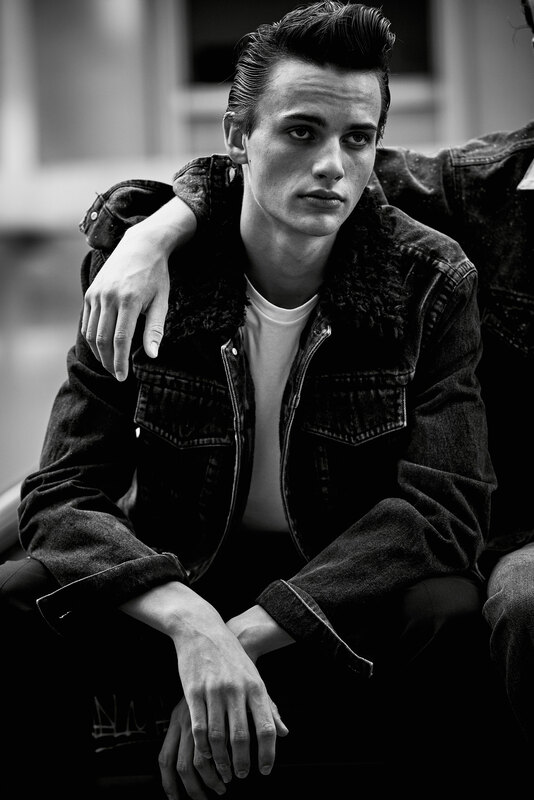 Tom Boitaud wears vintage Levi’s jacket from Noir Kennedy, jeans Facetasm. 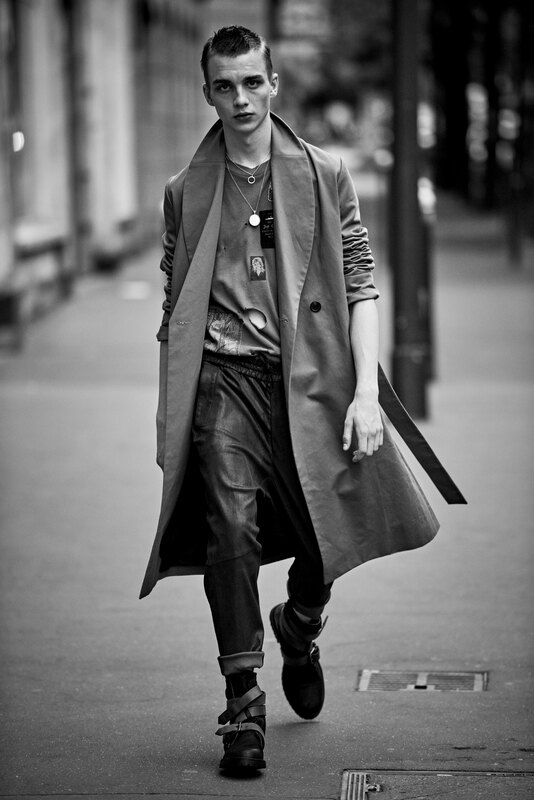 Ye Xiang wears coat Stella McCartney, denim jacket Frame, sweater Diesel, pants Drome. Left: Willow Barrett wears vintage denim vest from Noir Kennedy, t-shirt The White Briefs, pants Études, necklace Adeline Cacheux. 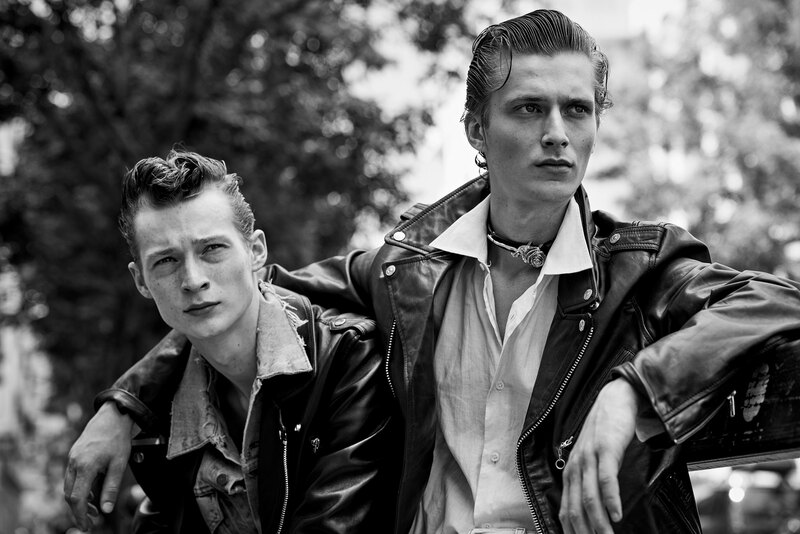 Right: Mathieu Franke wears leather jacket Schott, vintage shirt Maison Margiela, vintage jeans from Les Mauvais Garçons, necklace Zana Bayne, boots JM Weston. 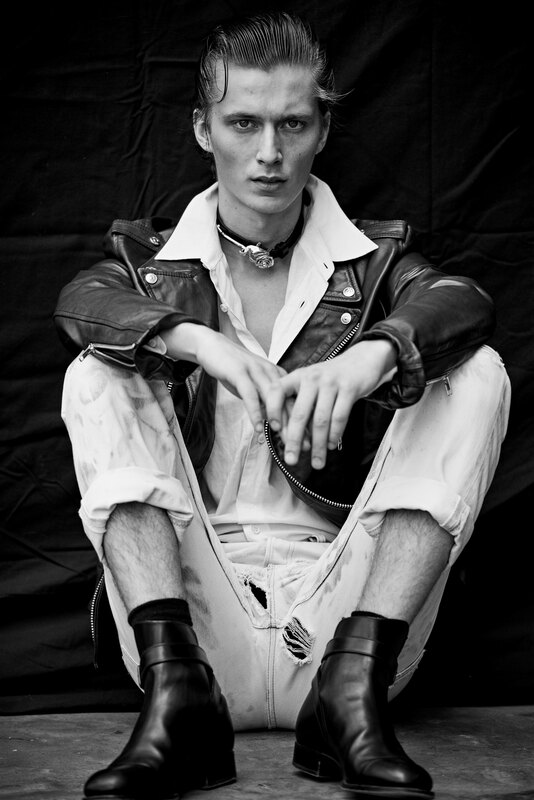 Oliver Houlby wears leather jacket Schott, tank top The White Briefs. 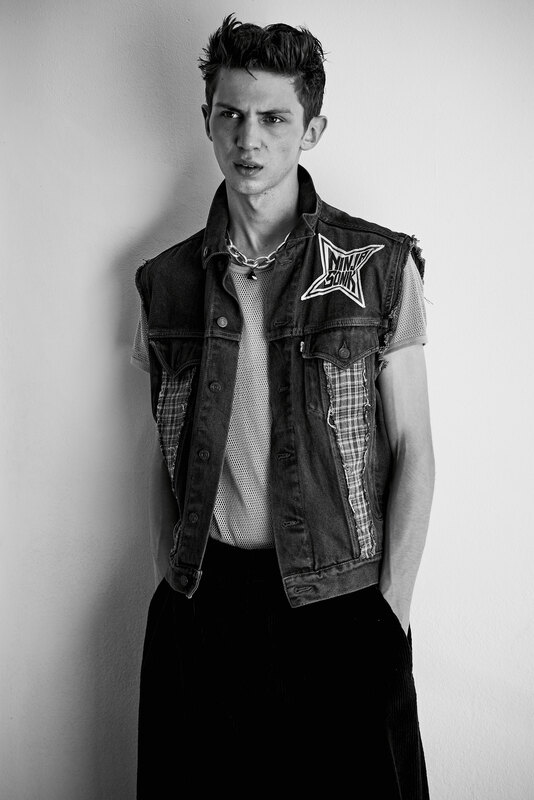 Christopher Einla wears denim jacket Acne Studios, vintage leather vest from Phoenix. Left: Karlis Leiboms wears vintage tank top from Melet Mercantile, pants and suspenders Dior Homme. Right: Willow Barrett wears leather jacket and pants Études, vintage denim vest from Noir Kennedy, t-shirt The White Briefs, necklace Adeline Cacheux, sneakers Adieu. 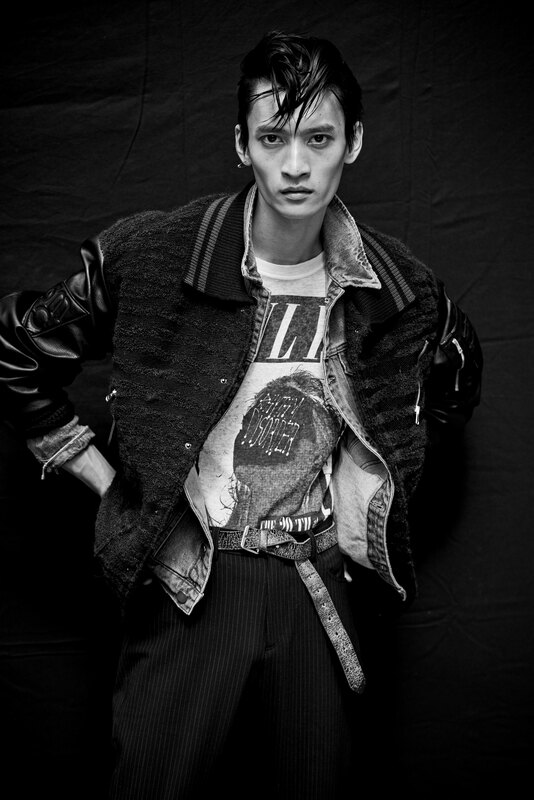 Yong Soo Jeong wears vintage denim vest from Noir Kennedy, coat Lanvin, vintage t-shirt Dior Homme, jeans Levi’s, vintage belt from Melet Mercantile. 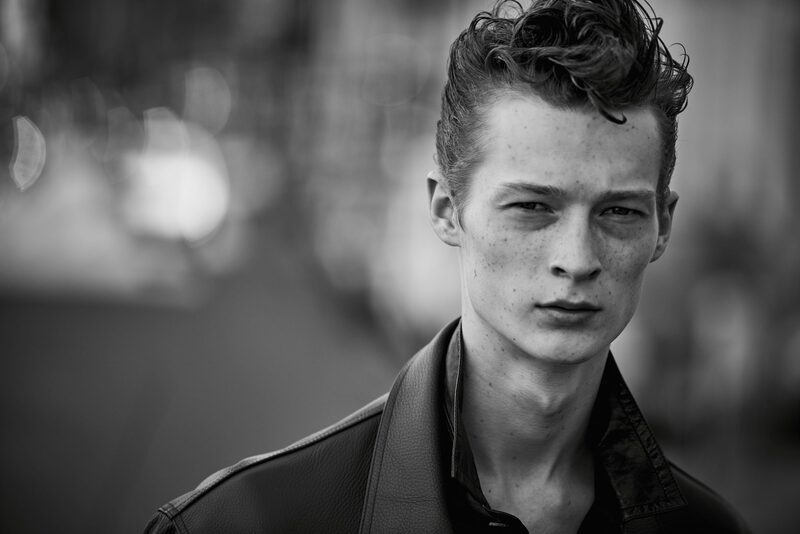 Willem Wardenaar wears leather jacket Sandro, leather shirt Drome. 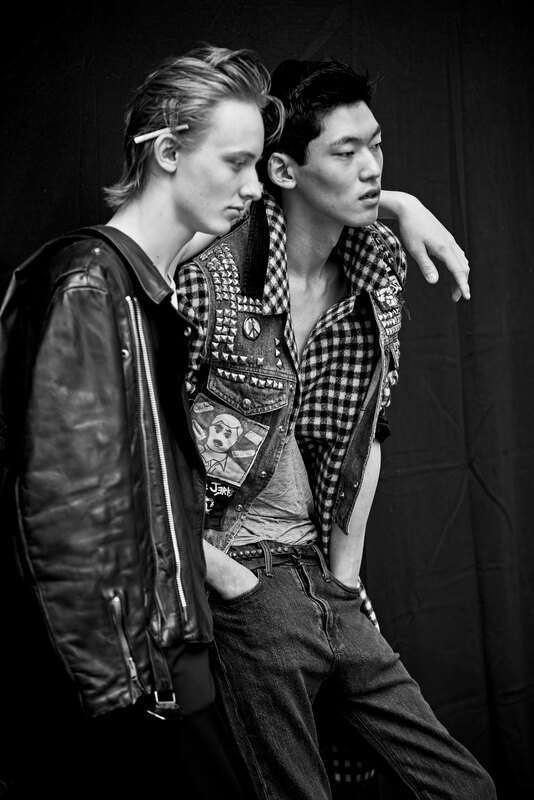 Left: Christopher Einla wears leather jacket The Cast, denim jacket Acne Studios, leather vest Phoenix. Right: Guirec Murie wears jacket 3.1 Phillip Lim, t-shirt APC, pants Cerruti. 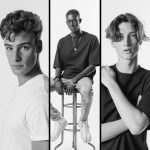 Clearly, Tom Boitaud and Mathieu Franke stand out especially.